Online ordering menu for City Fresh Pasta (North Shore). 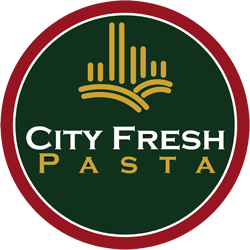 Welcome to City Fresh Pasta! We specialize in anything noodles! Come try our broccoli alfredo, pasta pomodoro, or gouda mac with BBQ pork! We are located in Allegheny Center, by S Commons and W Commons, not too far from the Children's Museum of Pittsburgh! Online ordering available today!